Research has shown that people who have a clear career plan and set themselves goals do better than those who don’t. Setting goals helps you to focus your energy and know what you are trying to achieve. Be realistic about what you are trying to do and give yourself a timescale to complete it in. It can be useful to reward yourself as a way of motivation and to chart your progress so that you can keep track of how well you are reaching your goals. This kind of planning will help set you up well for your job and career ahead. In order to set yourself clear goals you first need to know what it is that you are trying to achieve. Think about what areas of your work you would like to improve or where you would like your career to be in five years time. Once you have decided what you want you can put together the steps to make it happen. 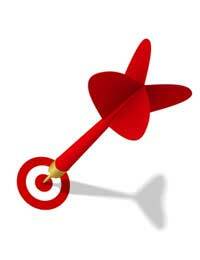 Break down the process so that each goal is small and achievable within the larger scale aim. If you were told to walk one mile then you may take all day and do it leisurely while if you only have ten minutes you will be a lot more focused. The same is true for any goals that you set. Give yourself a clear time scale about when you want to achieve them by but realistic about it. You don’t want to rush into them but make sure that you reach each one with the right amount of effort and ease. Like anything in life, you will feel a lot more motivated if there is a reward at the other end of what you are doing. Each time you complete one of your goals in the timescale that you have set, give yourself a treat. How big this is will depend on how major the goal was but will help keep you focused – and why not celebrate your achievements. If you don’t reward yourself, who will! To make sure that you achieve all the goals that you set yourself in your job you need to keep track of your progress. By doing this you will be able to make sure that you are not getting left behind. Whether it is a weekly, monthly or yearly review take a look at what you were hoping to get done and whether you have been able to do it. This kind of regular review will also help you re-assess and re-evaluate your goals if your priorities or career direction changes. Setting clear goals can help you progress in your job and your career by keeping your focused and moving forward. First you need to decide exactly what you want to achieve and set yourself a realistic timescale for making your goals. Giving yourself rewards can help keep you motivated and you should also chart your progress so that you can re-evaluate your goals as you go along.